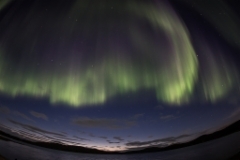 Ivalo Trek Lapland co-operates with the family-owned hotels and guesthouses in Ivalo village. Please, reserve your accommodation straight from Guesthouse Husky/Ivalo, from Hotel Kultahippu or from Hotel Ivalo/Ivalo. Please, book your Ivalo Trek Lapland´s excursions straight from Ivalo Trek Lapland . Read more about the Inari-Saariselkä tourism area or Samiland Villages. Guesthouse Husky is a small family-run company which is located about 5 km outside the Ivalo village and about 15 km from Ivalo airport. In spring 2011 the family opened a newly built guesthouse which is located in the same courtyard where their family (father, mother and three sons) is living. Just beside the guesthouse lies also our Alaskan husky farm with about 150 sled dogs. Guesthouse Husky offers you cozy accommodation, Finnish-Lappish homemade food and personal service in an unique environment. Read more.